People Don’t Buy Brands. They Join Them. With the vast integration of social media into marketing, now more than ever it is crucial to remember that the main purpose of advertising should be to get people to JOIN your brand rather than just BUY your products. In fact, social media has actually facilitated the notion of joining a brand instead of merely buying that brand’s products every once in a while. Whether it is through Facebook, Twitter, Google+, FourSquare, Instagram, Pinterest or any of the many other social media outlets, brands are encouraging their fans and followers to become a part of the brand instead of just a consumer. 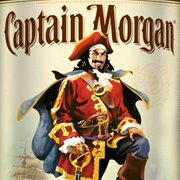 Captain Morgan USA – not only do they have a strong following on Facebook and Twitter, they have a ‘Captain’s Conquest’ app that pairs players against friends and area rivals to battle for control of their virtual city. This app encourages expanding your ‘fleet’ by teaming up with friends and therefore employs users as Captain Morgan brand advocates. NHL – by integrating their brand into the new app Draw Something, asking users to post their drawings to Twitter and then feeding the drawings into Pinterest, the NHL is incorporating three popular apps and engaging fans through a fun and creative initiative. Ellie Lawson – this London-based folk-pop singer/songwriter branded herself using her website and Facebook page. She asked her fans to virtually come with her to the studio and, for a small fee, help choose what songs would appear on her next album. This not only strengthens her fan-base, it empowers the fans and instills a feeling of belonging to her brand. The main factor that these three brands have in common is that they are asking their fans/consumers to do more than merely ‘like’ or ‘follow’ their brand. They are connecting in a bigger way that keeps their brand fresh in the consumers mind and blurs the line between fan and brand advocate.